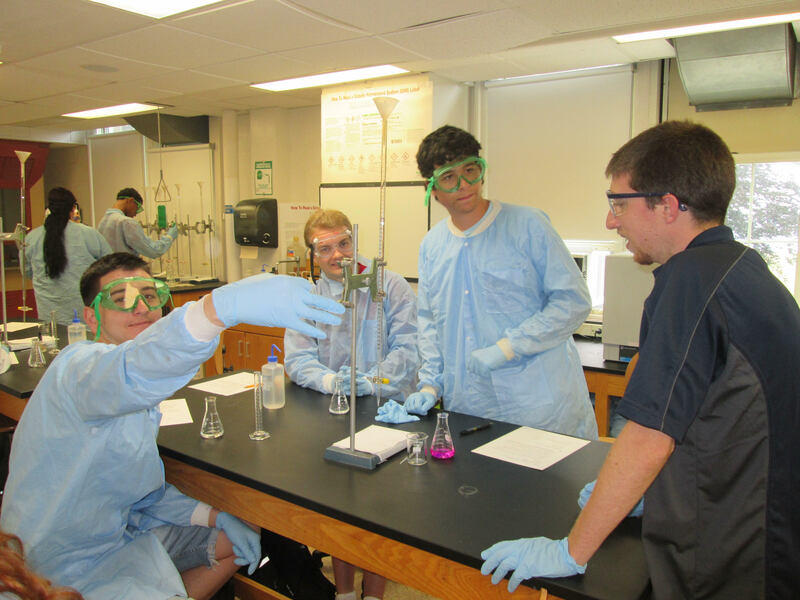 STEM Success is a new undergraduate retention program that began this past summer. 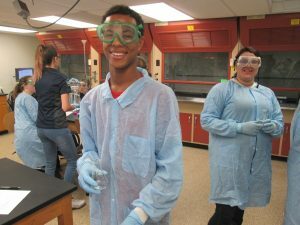 The initiative targets incoming first-generation students, students from low-income households, minority students, and those in need of extra academic support. The goal of the program is to increase undergraduate retention and graduation rates, as well as aid in the students’ transition from high school to college. Eighteen students were enrolled in the STEM Success program and experienced eight workshops, twice a week for four weeks. 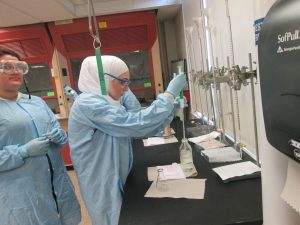 The workshops were designed to promote dialogue and discussion amongst peers and with graduate students, who led the workshops, on STEM subjects. 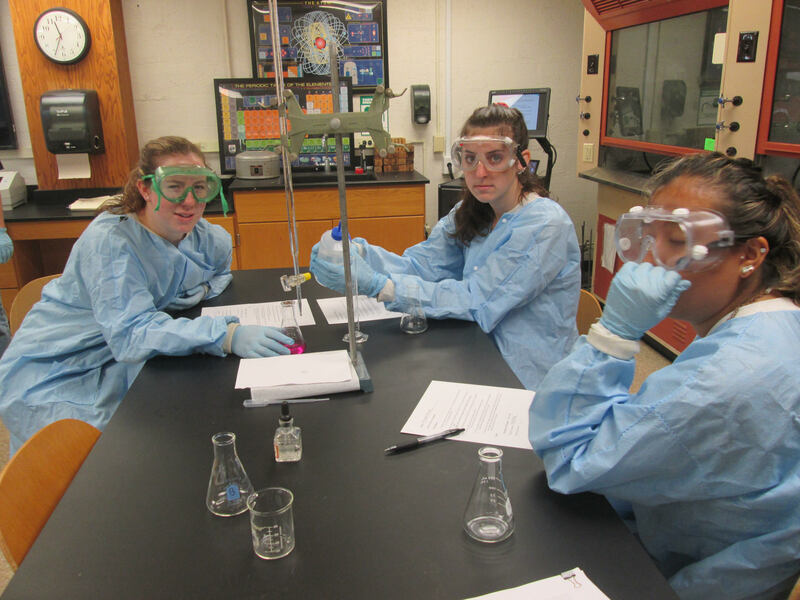 Activities ranged from performing titrations, carrying out plankton tows, learning how to use a microscope and touring the R/V Connecticut. 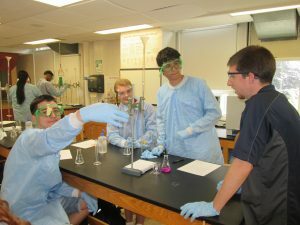 Incoming undergraduates thereby became familiar with basic scientific concepts and exposed to STEM resources on campus such as the laboratories and research vessels. The primary goal was to build a student support network for these incoming freshmen by connecting the students to their peers and future teaching assistants here at Avery Point. The STEM Success program was designed by Dr. Emma Cross and Dr. Alejandro Cifuentes-Lorenzen, two Postdoctoral Associates in the Marine Sciences department, alongside Elizabeth Kading (previous Continuing Education Counselor) as a new initiative for the Student Support Services (SSS) summer program, directed by Aaron Collins. Marine Sciences graduate students Molly James, Kayla Mladinich, Emily Seelen, Gunnar Hansen, Vena Haynes, Matt Sasaki, Jimmy deMayo, Sue Smith, Lingjie Zhou and Brittany Sprecher contributed time and expertise. Undergraduate participants responded enthusiastically to the program, thus ensuring that the STEM Success initiative will become a regular aspect of the SSS summer program!